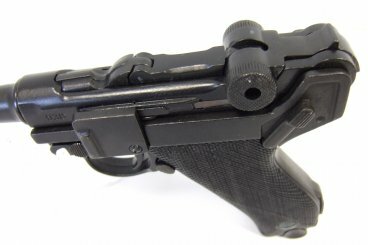 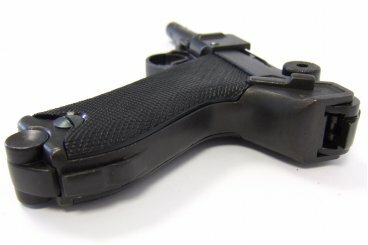 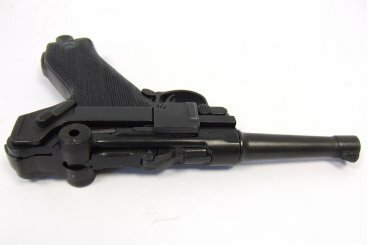 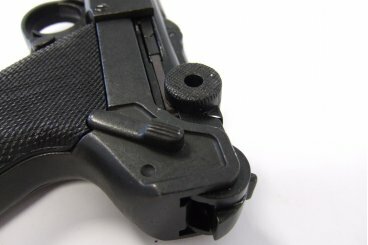 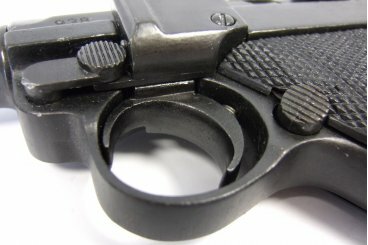 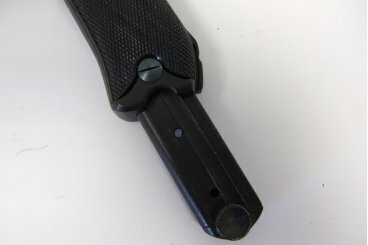 Reproduction of a pistol, made of metal and plastic grips, with simulated mechanism of loading and firing and also with removable magazine. The Parabellum pistol or model 1908 (P08), popularly known as Luger, is a semi-automatic pistol driven by recoil, which survived the restrictions of the Treaty of Versailles. 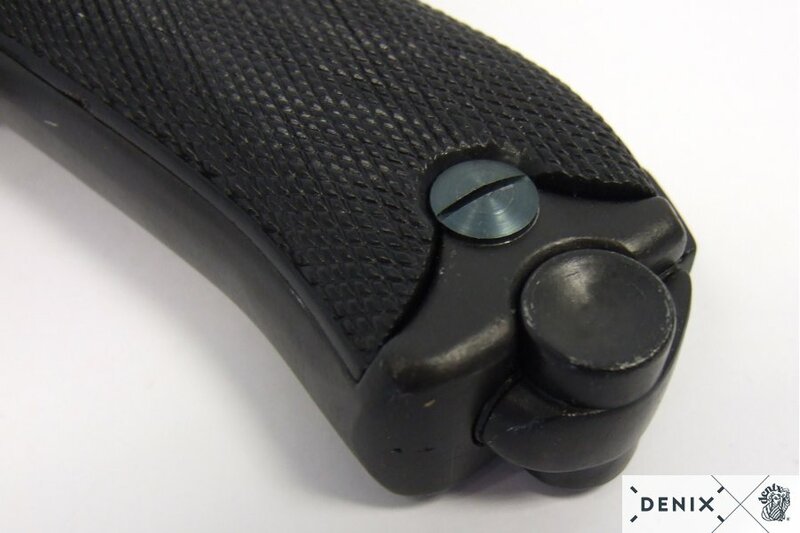 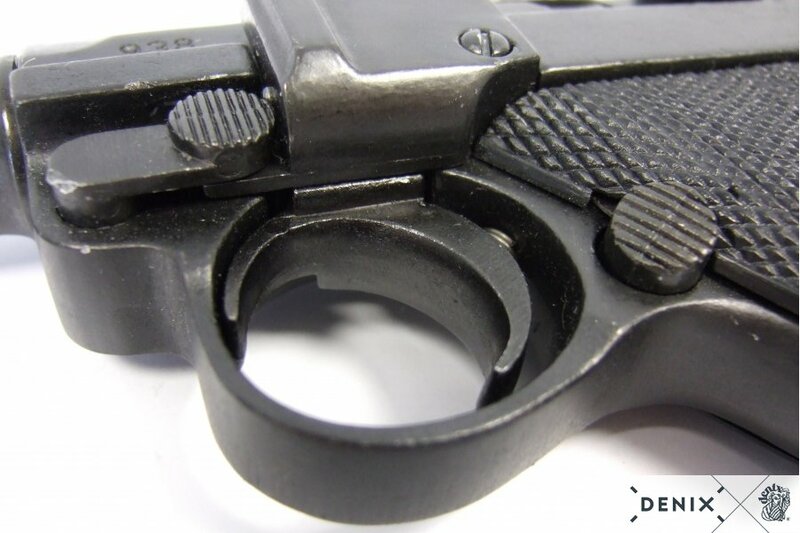 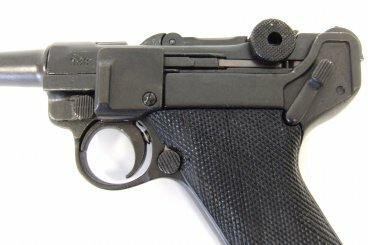 It uses an internal slider, operated by an articulated arm, unlike the external slider common in almost all other semiautomatic pistols. 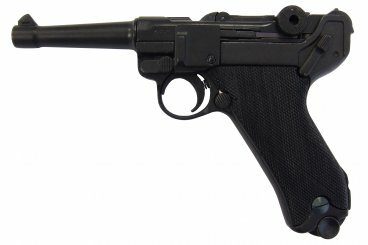 It was designed by Georg Luger in 1898 and produced by the German arms factory Deutsche Waffenund Munitions fabriken (DWM) from the year 1900. 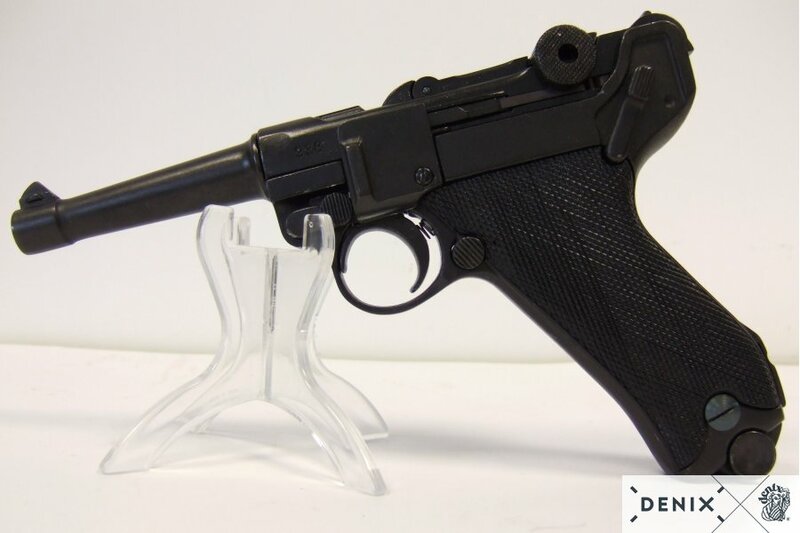 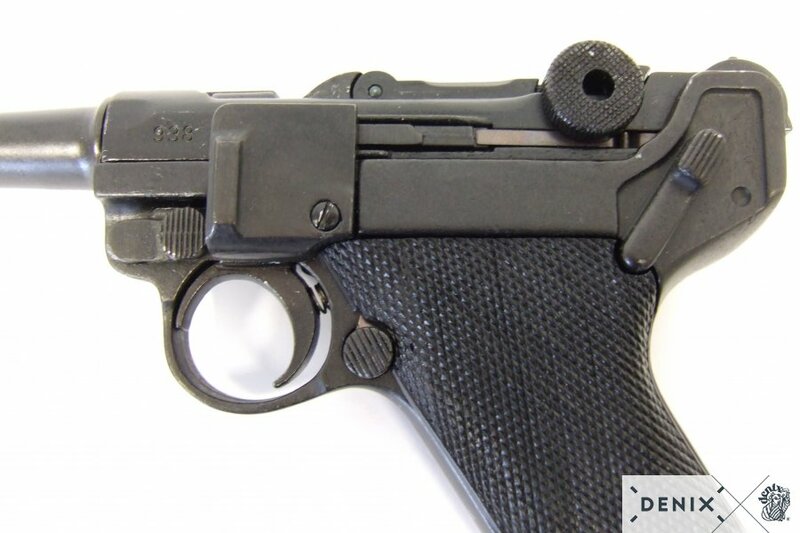 During its useful life the Luger P08 passed through the hands of several manufacturers, who were in charge of producing more than one million units of this mythical pistol that marked a before and after in the history of the short weapons. 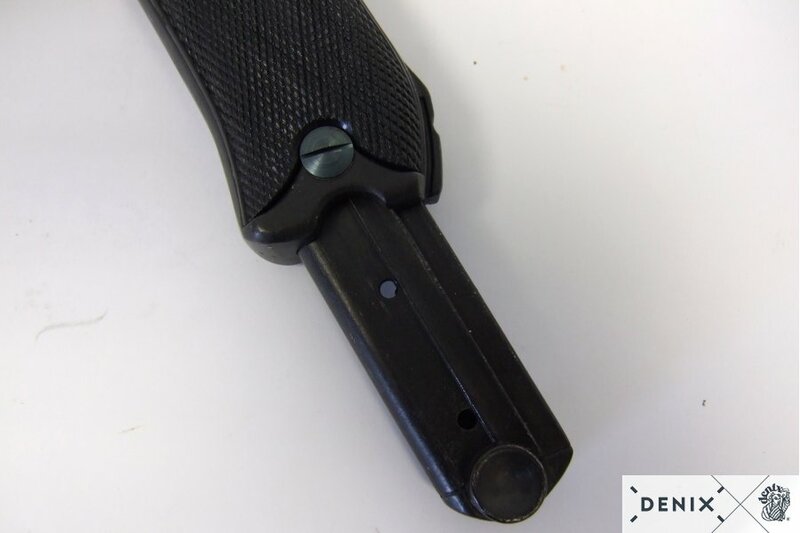 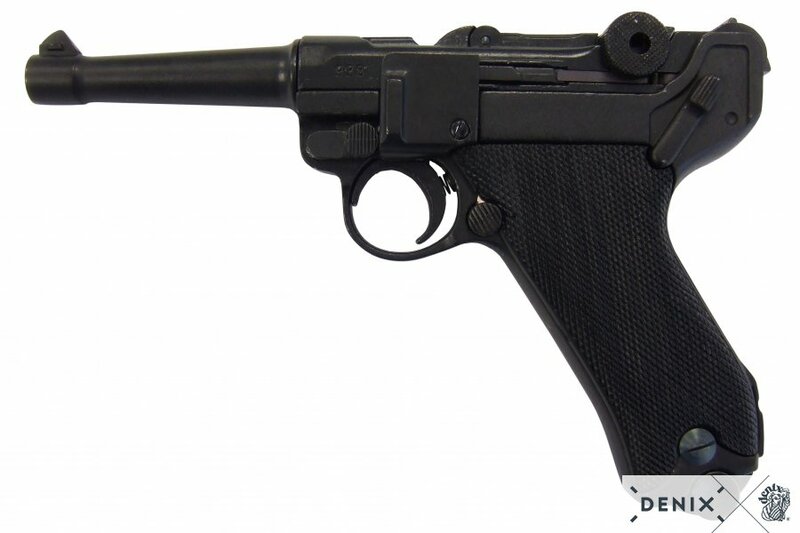 Although the first models were manufactured in 7.65x21 caliber Parabellum, its model of 1908, is famous for being the pistol for which the 9x19 Parabellum cartridge was developed. The denomination Parabellum comes from an old Latin saying "Su vis pacem, para bellum" ("If you want peace, prepare for the war"). 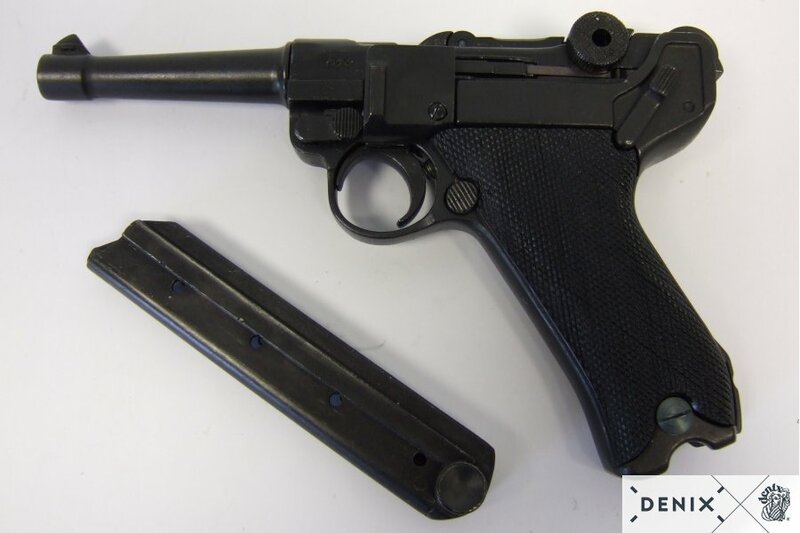 The Parabellum Luger pistol became very popular thanks to its use by Germany during the First and Second World War and was a pistol very wanted by the soldiers throughout the 20th century. 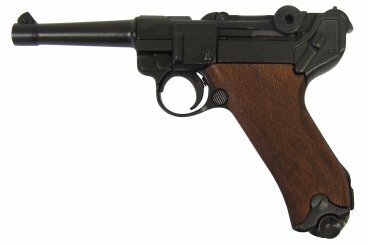 Recreate the most famous battles of the First and Second World War with this Denix replica of the Luger pistol!